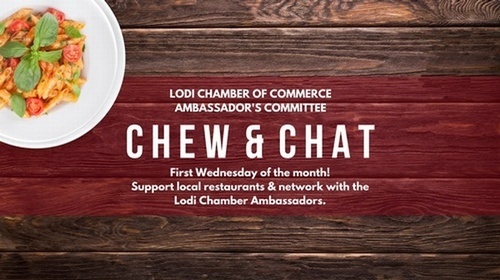 Join the Lodi Chamber Ambassador's for their monthly Chew & Chat networking lunch! Locations vary each month- be sure to follow our Facebook page Lodi Chamber Ambassadors. RSVP to Marina Narvarte at MNarvarte@LodiChamber.com.